Preserving communities while moving them forward. It’s no secret that Charleston, South Carolina is known for its history and old-South charm, both by residents and tourists. Charleston pays tribute to a simpler time, preserving its antebellum architecture in areas like The Battery and Rainbow Row, as well as maintaining the values that set it apart from other cities, like limiting downtown building heights. M. B. Kahn has worked in the Charleston, SC area for many decades as a distinguished general contractor, seeking to honor and complement the current city design and building practices. M. B. Kahn expanded their downtown office footprint in the summer of 2017. The expansion included 7 new staff offices and two conference rooms giving M. B. Kahn 2,500 square feet of office space. It also provided a new entrance and storefront along East Bay Street. Thomas and Denzinger Architects assisted with the interior design of the space. The historic section of this existing school in downtown Charleston was maintained while other areas received selective demolition and complete interior renovation. The old gymnasium and annex building were demolished and replaced with new construction, which included a kitchen/cafeteria, multi-purpose room, and media Center. The renovation and new building areas total approximately 67,000-square-feet and provide for a 500-student capacity. 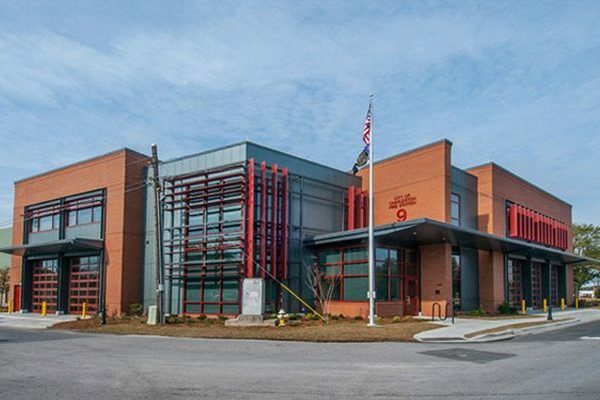 This 140,000-square-foot Darby Children’s Research Institute is the largest and most comprehensive pediatric research facility in the Carolinas. It is one of only 15 buildings in the U.S. that is dedicated to children’s research. The seven-story research and laboratory facility houses labs on floors two through six. Each floor has a tissue culture room, cool and warm rooms, central sterile, and specimen storage freezers, along with staff offices and conference rooms. The animal lab is located on the sixth floor. AALAC certified the facility to house, feed, and care for the facility’s research animals. Rooftop mechanical areas provide all conditioning and climate control systems for the entire building. This six-story, 120,600 square foot research and teaching facility houses clinical and outpatient services to provide instructional opportunities through community outreach dental services. Offices, consulting, x-ray, procedure and treatment suites, recovery rooms, dental labs, sterilization and decontamination areas, along with classrooms and study space are located throughout the facility. The roof top penthouse provides room for the building’s primary mechanical and electrical equipment. Approximately 21,000-square-feet of the original 3-story building, constructed in 1921, was selectively demolished and renovated. The existing 1954 facility was totally demolished and a new 68,000-square-foot, three-story facility was constructed. 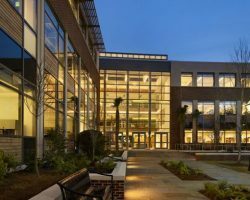 The new facility provides capacity for 500 students and includes 27 teaching stations, a cafeteria, gymnasium, media center, science and art spaces. This four-story, 580,000-conditioned-square-foot replacement hospital includes a diagnostic and treatment wing connected to an eight-story patient and office tower. 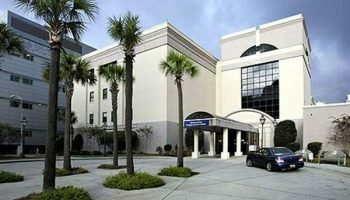 Specializing in the treatment of heart & vascular disease, digestive disorders, and organ cancers, this facility was designed and built to deliver the most modern medical services available while offering patients and their families the highest quality of care in a setting that rivals the comfort and style of a fine hotel. This state-of-the-art building features a 156-bed patient tower connected to the diagnostic and treatment wing by a four-story open atrium. This seven-story facility is situated on the corner of Jonathan Lucas Street and Sabin Street adjacent to the original HCC facility. The expansion facility replaced sections C and D of the old quadrangle building. As part of the expansion project, the first two floors of the original facility were completely remodeled. The total square footage increased to a total of 202,000 square feet, and includes both clinical and research spaces as well as administrative and educational spaces. M. B. Kahn has worked with Roper Hospital for decades. Our construction services have involved large projects, such as the multilevel Parking Garage and the 72,000-square-foot Medical Office Building, as well as numerous smaller renovation and upfit projects such as sixth floor east wing isolation rooms, seventh floor operating rooms, hospital lobby, snack bar and gift shop. At M. B. Kahn, we feel the construction industry has a responsibility when working in cities like Charleston to preserve what makes them great while helping them evolve. Residents of the area take pride in the time-honored look and feel of the city and are hesitant to disturb tradition when it comes to building projects. We understand, and we’ve spent decades getting to know the Charleston area. Through our work in the city, we aim to faithfully protect its historic charm while providing new, sustainably-built structures that will serve its residents for years to come.